Commuting can sometimes be challenging in Reading. Whether you’re a student at the University of Reading or a regular commuter, you’ve probably had a lot of transport hassles. However, for many reasons, an excellent option for getting around town is to ride a scooter. This article looks at the benefits of owning a scooter in Reading and why you should choose one of ours. Why Own a Scooter in Reading? Faster in Traffic: One of the most significant benefits of riding a scooter is that it allows you to manoeuvre your way through heavy traffic easily. Parking: Parking often poses challenges in Reading, but with a scooter, you can park anywhere. Also, you get to save more on parking costs. Minimum Age: You can get a licence to ride your scooter at 16, allowing you to get on the road earlier than you would with a car. Fuel Economy: Owning a scooter in Reading allows you to save on fuel cost because scooters are very fuel-efficient. Price: Our scooters are incredibly affordable for everyone. You can buy one of our 50ccs or 125ccs for as low as between £999 and £1099. Finance Options: We also allow customers who cannot afford to pay at once pay in instalments. Insurance: Direct Bikes also help you compare the insurance market to get the cheapest insurance policies in the country. Design: We have a variety of designs that are certain to catch your fancy. Whatever style you prefer, you'll find it here. To make scooters available and affordable for everyone, we have no dealerships in anypart of the country including Reading. However, we can deliver your scooter to you regardless of your location. 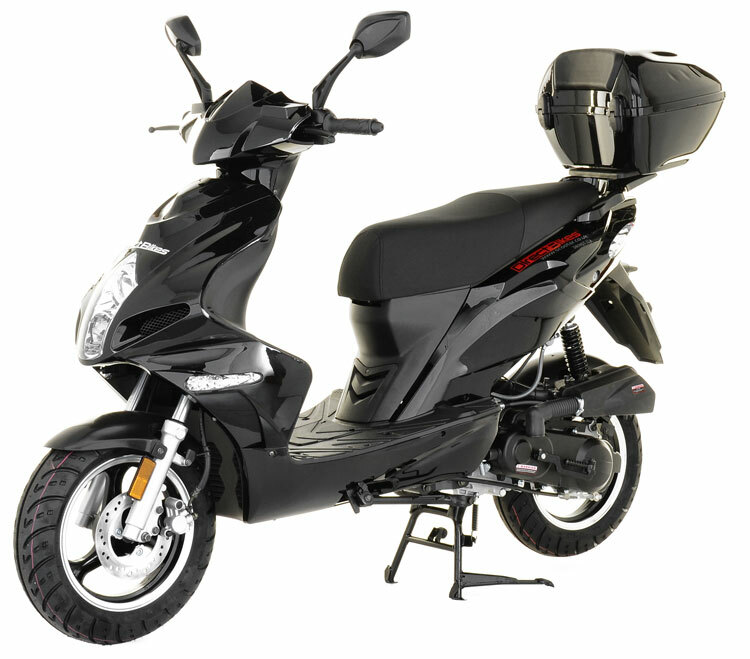 Simply provide us with your delivery information and we'll send across your scooter on the agreed date and time. Get one of our scooters today and take smooth, hassle-free rides in Reading!